To be honest when I started Slimming World I though I would lose a pound a week. That would make me reach my target after 42 weeks, on 24th October. 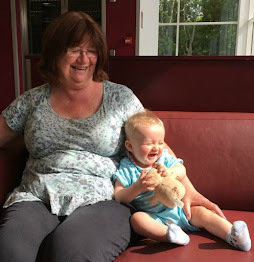 At my last post, week 21 I had lost 22.5 pounds, well on schedule even after my couple of weeks naughtiness. 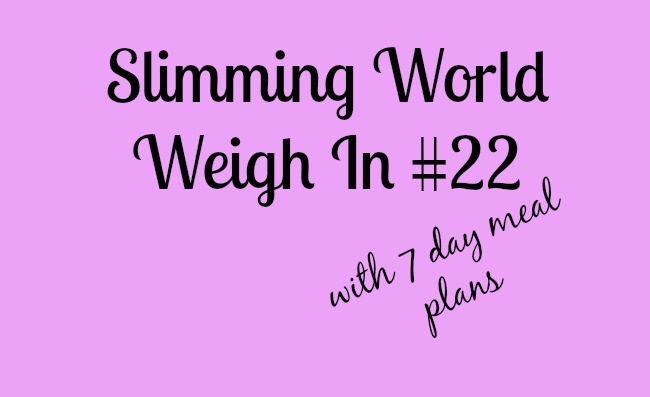 To encourage me to stay on plan I am now going to include my target date in each post. I'm hoping it will drive me to work harder to get there sooner. Well that's my theory. I am back on plan and without further pre-amble, how did I do? I lost 2.5 pounds, yippee! That is the weight I put on and another pound. I feel great although I am craving chocolate and biscuits but I am sure this is because I was naughty the last couple of weeks. To balance this I have been eating Müller Light yoghurts. They do not replace the crunch of a biscuit but do stop the craving for something sweet. I have also been hungry between meals, which I haven't experienced before. I am eating a good balanced meal but want snacks before the next. This is when I have a banana or another piece of fruit or yoghurt. It really does help. 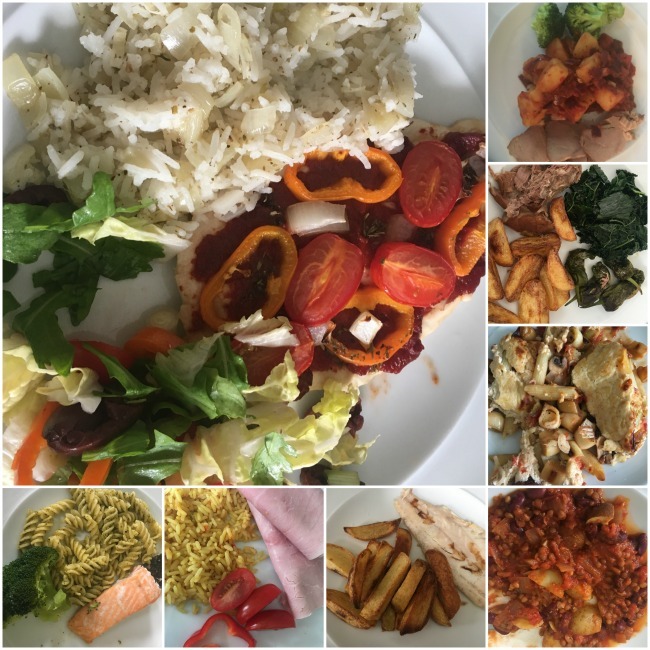 Main Picture; Pizza chicken with rice and salad; Top Right anti-clockwise; Slow cooked pork with tomatoey potatoes and broccoli; Cold pork, cabbage and chips; Slimming World Macaroni Cheese; Bean Chili with boiled new potatoes; Sea Bass and chips; Ham, rice and peppers; Salmon, pesto pasta and broccoli.